Sun Pharma’s market capitalisation stood at Rs 100,050 crore on December 5, with its share price closing at Rs 417 a piece - lowest since March 2013. The country’s leading drug maker has lost more than Rs 23,000 crore worth investor wealth in the past 10 days, with the stock plunging to a five-year-eight-month low on Wednesday, as it continued to fall in three consecutive trading sessions. The promoters, who hold a little over 54 per cent in the firm, have seen their wealth erode by Rs12,660 crore since November 26. The company’s valuations took a severe hit since the controversy around alleged lapses in corporate governance surfaced, with a note from a foreign securities firm doing rounds on social media platforms. This was corroborated by the Securities and Exchange Board of India (Sebi) sources, claiming that the market regulator planned to reopen an insider trading case against the company and its promoters following a whistleblower complaint. Sun Pharma’s market capitalisation stood at Rs 100,050 crore on Wednesday, with its share price closing at Rs 417 a piece - lowest since March 2013. The stock, which has been valued at a premium over its peers, ranked 26th in terms of market capitalisation among BSE stocks on Wednesday. This too was a low compared to the March 2016 figures, when it had a market cap rank of six. Even in its previous low of Rs 409.2 a piece in March 2013, the market capitalisaton rank was better at 15. Sun Pharma’s stock had touched an all-time high of Rs 1,200.7 on April 7, 2015, with a market cap of Rs 211,700 crore. It was in April 2015 when Sun Pharma’s managing director Dilip Shanghvi’s net worth was assessed at $25 billion. He had replaced Reliance Industries Chairman Mukesh Ambani as the richest Indian for a short while in the year. The company’s shares have seen a downward slide since then, mostly owing to troubles brewing with the US drug regulator for Ranbaxy sites. Shanghvi reached out to the investor community through a conference call on Monday. This, however, has failed to allay the investor concerns. In a recent note, Nomura analysts said two broad issues were involved: First is the conduct of the promoters and whether or not the promoters or related parties benefited from insider information or through business deals with Sun Pharma. The second issue was around transactions with promoter entities and other structuring carried out by Sun Pharma. “Such structures and transactions are not common among the pharmaceutical companies we cover,” Nomura said. Analysts seem to be unhappy about the lack of disclosures at the firm. 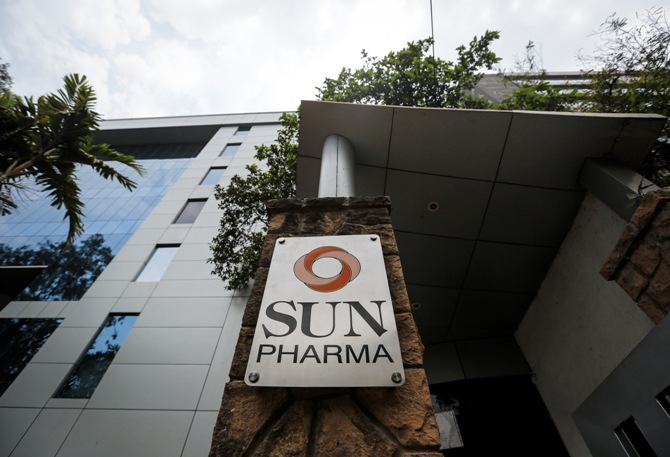 “Unless Sun Pharma re-evaluates some of its structures and transactions, which weaken investors’ confidence, these issues will overshadow the company’s overall performance,” said an Edelweiss analyst. A prime area of concern is the sharp increase in unsecured loans extended to employees and others from Rs 698 million in FY17 to Rs 2,240 crore in FY18. To top it all, the management was reluctant to disclose the nature of loans, citing business sensitivity. While Shanghvi said he was open to address the investor concerns, his reply had failed to allay the fears of the brokerages and shareholders. “I think the challenge, which I face generally in responding to questions, is that there is information material to interest of business. "So I can’t share some materially important data specific to business. So I am not able to give you more details about who the money is given to. "However, I understand your concern, and we will try and address this concern at the earliest,” he had said in the Monday call. Nomura further noted that there were issues related to the restructuring of the India business to reduce tax liability. Sun Pharma transferred the India formulation business to its subsidiary Sun Pharma Laboratories Ltd (SPLL) for a consideration of Rs 18,600 crore in FY12. This transaction valued the India business at 6.46-times FY12 sales. The transaction led to the creation of intangibles of Rs 18,300 crore. “This allows SPLL to take an amortisation charge of around Rs 16 billion per year, which leads to tax savings of around Rs4 billion per year, in our assessment. "Our interaction with experts on the subject suggests that such a transaction may not withstand scrutiny by the Income-tax department. "We note that the company has disclosed Rs59.3 billion as contingent income-tax liability as of end FY18. "We think a large part of this liability could be related to this tax saving structure,” Nomura said. If the structuring and tax saving are disallowed, Sun Pharma is likely to pay a part of the contingent liability. The annual tax outgo could increase by Rs 400 crore. Meanwhile, shares of Sun Pharma Advanced Research (SPARC), a group company, also hit a four-year low of Rs 223.4 a piece, down 6.92 per cent on the BSE.